Not sure how I feel about this book, but I'm definitely curious. will be looking out for your review!! Stopping through and hoping your weekend is going good. Oh wow! That's cool!! Can't wait to see what you think! Kinda of on the fence about this one! I'm super excited about this one because I always hated the ending of Romeo and Juliet. Anything for a happier ending! Congrats on the snag! UM JEALOUS! So awesome. I can't wait to read what you think abou this one. That cover is so pretty. Very nice titles. 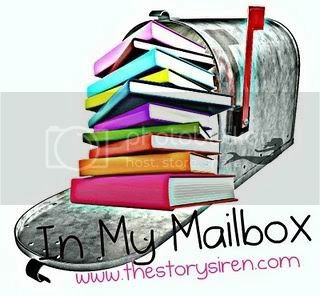 Come visit me over at Livre De Amour-Books of Love Blog. 0o0o0 You got it! I can't wait to read it (has to wait a month for her copy from Random House). I can't wait to see what you think of this one! It looks amazing, I'll be anxious for your review. definitely sounds like a good book! ooo im so so jealous!!!! This book does sound very interesting. I'm sure I'm not the only one who really enjoyed Romeo and Juliet and this sounds like a great spin on that. This one has been making me wonder for weeks. I look forward to reading what you think of it! Oohh I can't wait to read this one - ENJOY! Wow! This one seems so good! it looks so appealing and now I’m curious. enjoy ur read! thats cool =) i hope you enjoy it! I'm jealous! I hope I can control my indulgence! I'll be broke soon LOL! I'll wait for your review of Juliet Immortal. Good luck! 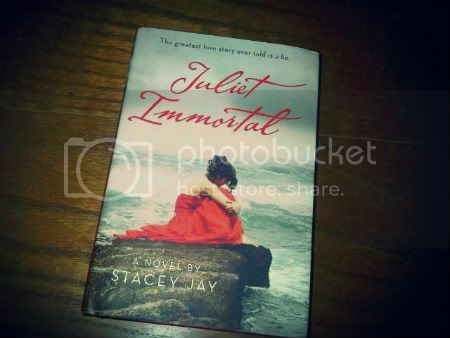 Ooh jealous, I can't wait to read Juliet Immortal! I'm a huge fan of books like this. Plus, the cover is really pretty. Happy reading :). Super jealous. I've been dying to read this since it was announced. Such an amazing cover. Hope you enjoy! This book sounds like it could be amazing. For me, it's one of those books that will either be great or just miss the mark completely. Looking forward to what you think. I was very bad this week, got way too many books LOL Dying to read this one though, enjoy! Oh, I can't wait for this one. Soon!